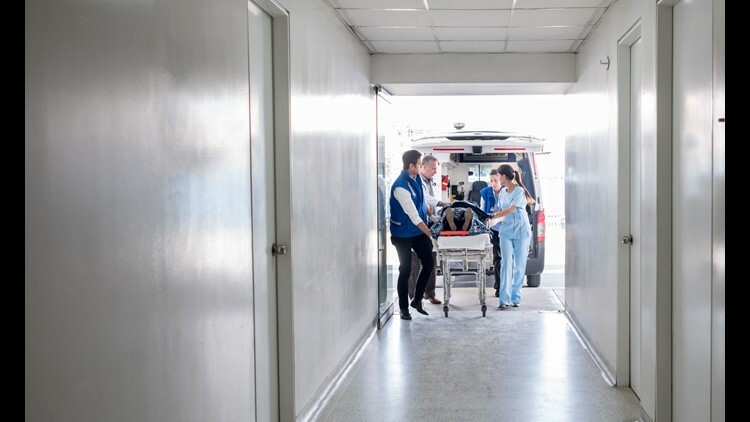 If you're a woman rushed to an emergency room during a heart attack, the gender of the physician treating you, could make a life-or-death difference. Female heart attack patients are more likely to die when treated by a male ER doctor, a new study finds. The reason why, the study's authors suggest: Myths about heart disease as a "male" condition may color how male doctors treat women facing the top cause of death in the United States for men and women. When treated by female doctors, male and female patients in the study fared about the same: 12 percent of women died compared to 11.8 percent of men, according to a report on the research by CBS News. Under the care of male doctors, 13.3 percent of women died versus 12.6 percent of men — a difference roughly three times greater. “I don’t think this should be interpreted as ‘women should avoid male physicians,’” Brad Greenwood, lead author and an associate business professor at the University of Minnesota, told Consumer Reports. “But making sure that female patients advocate for themselves and are not dismissed is important." For the study, published Monday in the Proceedings of the National Academy of Sciences, researchers analyzed more than 500,000 cases of heart attack patients admitted to Florida hospitals between 1991 and 2010. They found female patients had lower survival rates than male patients when treated by male physicians. Additionally, authors noted that "male patients and female patients experience similar outcomes when treated by female physicians, suggesting that unique challenges arise when male physicians treat female patients." Two factors did seem to increase women's chances, however: Male doctors exposed to more to women, both as patients and fellow ER physicians, saw more success treating female patients, the authors said. Greenwood, the lead author, told Reuters that he suspects additional deaths for women may arise when male doctors take longer to diagnose (and thus treat) heart attacks. Women suffering heart attacks can differ from men in their symptoms, which male doctors may not as readily recognize. "Women’s symptoms tend to be more subtle and may be more ambiguous," the Mayo Clinic states in a Q & A on the topic. Chest pains can occur, yes, but less predominately. Less obvious signs — like shortness of breath or neck pain — can occur, too. In a release from Harvard Business School, where co-author Laura Huang is an associate professor, authors suggested that while male doctors seemed to improve by treating more female patients, the quicker and less deadly solution may be to increase the numbers of female doctors in hospital emergency rooms. Future research on the topic is needed, authors said, which may include training and interventions. "All this underscores the need to update the training physicians receive to ensure that heart disease is not simply cast as a 'male' condition, which is often taken as conventional wisdom in both the media and the medical community," authors said in the Harvard statement.